This species is one of the few sedge species that is a true annual. As a result, this sedge is easier to control than many other perennial sedges. Annual sedge has a very characteristic seedhead that tends to be relatively large compared to other sedges, and the seedhead is flattened with a toothed outline. Annual sedge tends to have a more "clumpy" appearance than other sedges particularly when it occurs in low densities. 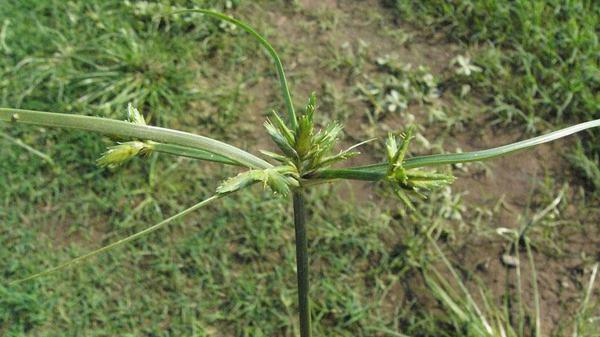 This sedge also tends to emerge later in the spring / summer than most other sedge species. 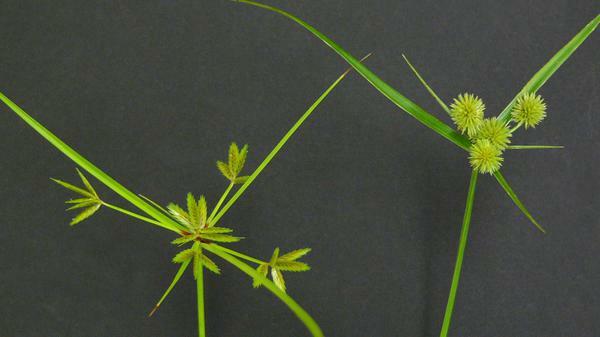 This species is one of the few sedge species that is a true annual. As a result, this sedge is easier to control than many other perennial sedges. 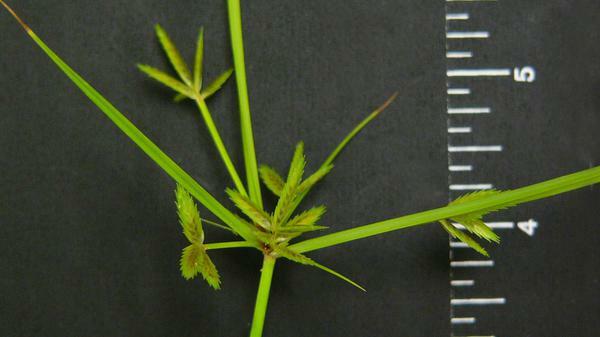 This sedge also tends to emerge later in the spring / summer than most other sedge species. Sedges are weeds that resemble grasses but unlike grasses, sedges have three-sided or triangular stems. 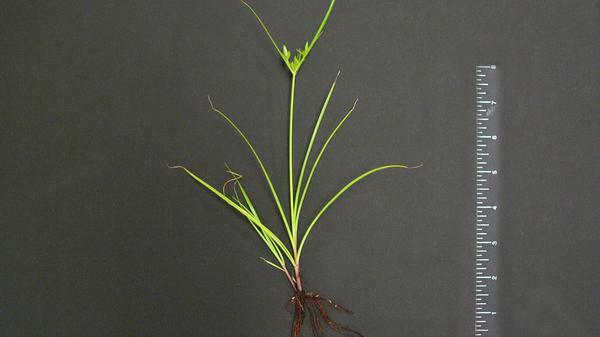 It is important to properly distinguish sedges from grasses because management is totally different. Sedges are plants that thrive in wet or poorly drained soils but can survive in areas that are not wet. Because of frequent irrigation in highly maintained turf, sedges often thrive in the turfgrass environment. Sedges often become established in wet areas and spread to other areas that are not poorly drained or wet areas. Therefore, it is important to recognize areas where sedges can become established and prevent spread of these sedge species to other areas of the golf course or landscape. Figure 2. Annual sedge seedhead. Figure 4. Annual sedge seedhead.